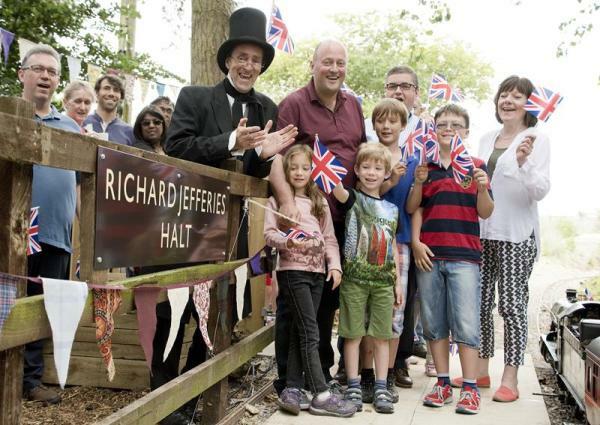 In 2016 our neighbours at the Coate Water miniature railway developed an extension to their tracks and created a Richard Jefferies Halt at the museum, opened with help from Swindon 175 and local MP, Robert Buckland. So, it is now possible to visit the museum by train! ​We think Richard Jefferies would be thrilled. As he said himself in his essay Steam on Country Roads, trains should run out to every farm! "We should then see goods trains passing every farm and loading at the gate of the field. Such a road goods train would not, of course, run regularly to and fro in the same stereotyped direction, but would call as previously ordered, and make three or four journeys a day, sometimes loading entirely from one farm, sometimes making up a load from several farms in succession. Besides the quick communication thus opened up with the railway station and the larger towns, the farmer would be enabled to work his tenancy with fewer horses. He would get manures, coal, and all other goods delivered for him instead of fetching them. He would get his produce landed for him instead of sending his own teams, men, and boys." 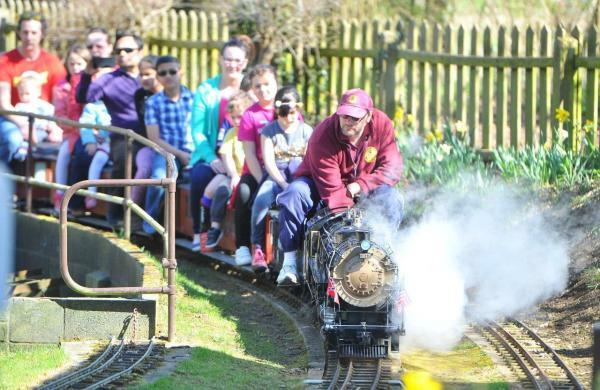 The trains are all looked after and operated by the volunteer experts of the North Wilts Model Engineering Society, and timetables are available on their website or by visiting them at Coate Water.